Recent discoveries off the coast of Madagascar have revealed a rare gemstone treasure called Indian Ocean apatite. This new variety of apatite gets its name from its striking and rare sea-green hues. What is Indian Ocean Apatite? Off the coast of Madagascar comes a strikingly beautiful and rare treasure called Indian Ocean Apatite. Behold its captivating hues, perfectly capturing the way that light glints across the water’s surface in its blends of dark cyan green-blue. This unique specimen of apatite is quickly gaining popularity in the market because of its rich and vibrant color. Is Indian Ocean Apatite valuable? The value of colored stones is typically determined by a combination of its color, clarity, cut, and carat weight. This is no different when determining what Indian Ocean Apatite is worth. These guidelines will help you choose stones for your collection. Displaying a unique combination of cerulean blue and green hues, its striking sea-green color is a rare find and highly sought after. Its value depends mostly on color saturation. Gemstones with vivid and brilliant blue color are considered the most valuable. Indian Ocean Apatite is mostly transparent, but translucent specimens do exist. Apatite, being a Type II gem will mostly have visible inclusions. Eye-clean samples are very rare, especially in large sizes. One of the best things about working with apatite is the variety of styles you can create. Indian Ocean Apatite is no exception! You’ll find the most popular modern and fancy cuts in this stone. Transparent specimens are usually faceted into traditional shapes and showcase the color blend of the stone. Fancy shapes with standard sizes are hard to find and command higher prices. Gem-quality apatite stones are not often available in large sizes. Apatite over one carat will command higher prices. However, Shop LC offers Indian Ocean Apatite gemstone in a range of sizes for every budget. 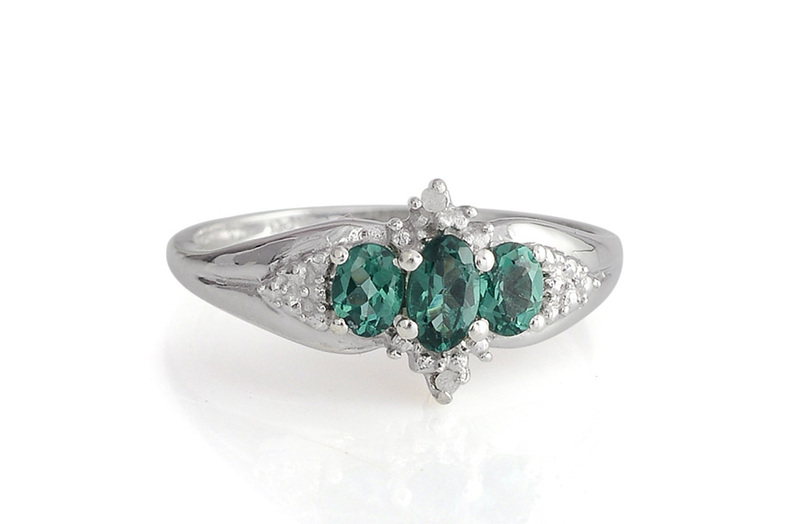 Indian Ocean Apatite undergoes heat-treatment to improve and enhance the color of the stone. Simply wash your apatite gem and jewelry using a soft brush and warm soapy water. Since it is considerably softer than quartz, wiping away dust may cause apatite to lose its polish and develop surface scratches. Always store apatite gemstones in a soft cloth, or place them into a fabric-lined box. Who Can Wear Indian Ocean Apatite? Apatite is a great stone for developing self-confidence and accepting yourself with all quirks and flaws. It is a stone of learning and inspiration. 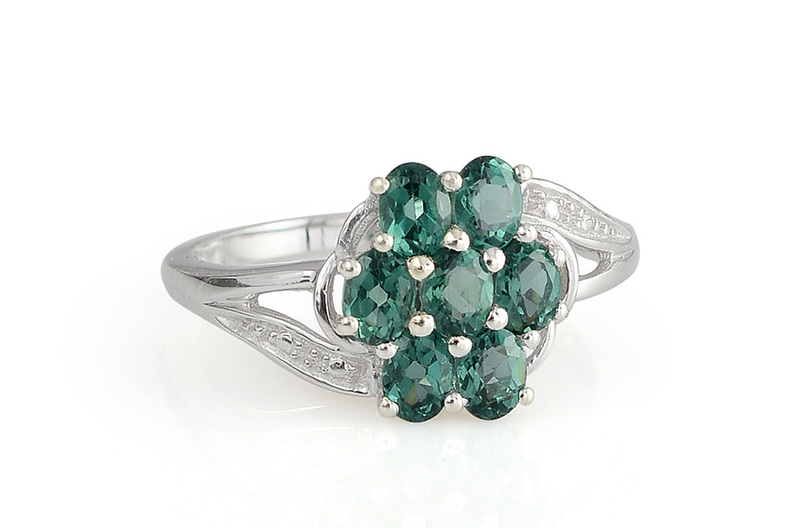 This blue-green gemstone offers guidance and bolsters the confidence of the wearer. Indian Ocean Apatite can be worn in many forms such as earrings, rings, pendants, pins, cuff-links and tie-tacks. However, they should be limited to occasional wear with protective-style settings. Apatite gemstones are rather fragile as compared to most gemstones used for jewelry. It is ideal for jewelry that is less prone to wear and tear. How Does Indian Ocean Apatite Compare to Other Apatite Stones? Top grade blue-green specimens of apatite can rival Paraiba tourmaline, one of the rarest and most expensive gems currently available. Where Does Indian Ocean Apatite Come From? Apatite occurs in many places in the world, including Brazil, Norway, Mexico, Sri Lanka, Myanmar, Kenya, South Africa, Canada and the United States. 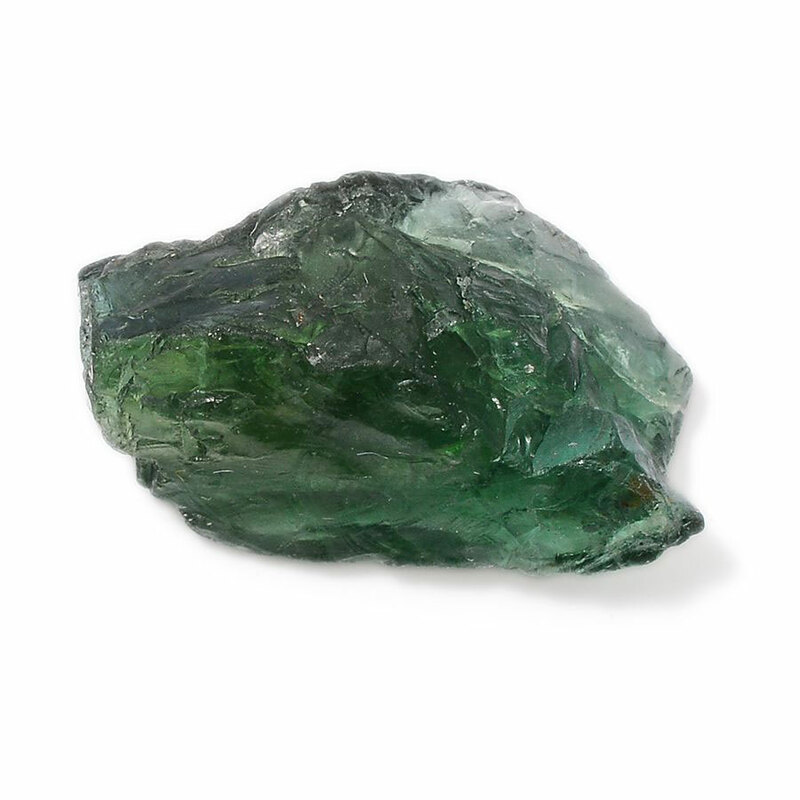 However, Madagascar is known to produce a highly desirable neon blue-green gemstone. Shop LC sources gem-quality Indian Ocean Apatite from off the coast of the island of Madagascar. How is Indian Ocean Apatite Mined? A variety of methods are used in mining apatite. Large-scale mining operations use machinery for extracting the stone from large open pits. On the other side of things, artisanal miners employ hand tools when digging the stone from the ground. What Does Indian Ocean Apatite Mean? Indian Ocean Apatite is a stone of manifestation. It helps the wearer turn their ideas into reality and get the results that they desire. Apatite boosts creativity, imagination, intellect while facilitating quick, effective, and efficient learning! Modern gem therapists attribute rock crystal with many healing properties. When applying the stone to the body, they believe that it helps to regulate digestion and metabolism. Apatite is the only gemstone mineral that naturally occurs in the human body. It is thought to strengthen bones, cartilage, and teeth by improving the body’s absorption of calcium. Disclaimer: The information presented is for information purposes only, and should not replace the advice of a trained medical professional. Is Indian Ocean Apatite a Birthstone? Indian Ocean Apatite is not an official modern birthstone. However, some may prefer the unique colors of the gem to traditional blue birthstones, such as aquamarine. Indian Ocean Apatite ranks five on the Mohs scale of hardness. This variety of apatite is known for an especially dark cyan green-blue. Shop LC sources our supply of Indian Ocean Apatite from the island of Madagascar. Indian Ocean Apatite undergoes heat treatment to enhance color. 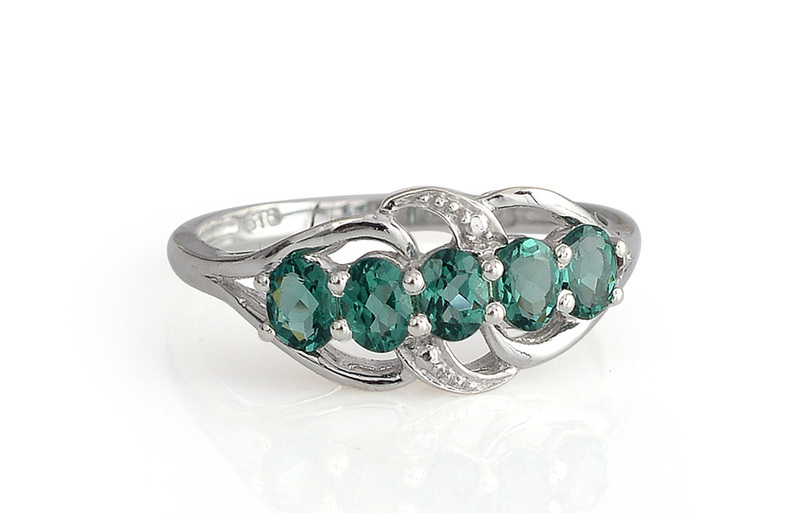 Apatite is sometimes known as asparagus stone, augustite, or asparagolite.